Do you have childcare experienced? Are you looking to join a passionate and dedicated team of childcare professionals? We are currently looking for Unqualified or Level 2 practitioners to join our fantastic teams across the company. 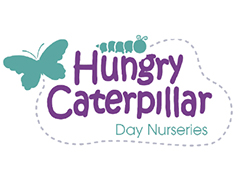 Everyone that works at Hungry Caterpillars is an important part of our successful team and therefore we ensure you will be respected, appreciated and rewarded for the great work you do. We look to recruit motivated, unique individuals with a passion for helping children and families to achieve their very best.